Pathway lighting is one of the most common types of outdoor lighting. It’s so common, in fact, that many homeowners give it very little thought. We see homes all the time that have a simple row of cheap, solar-powered lights along the driveway or entryway path. We think it’s a shame because path lighting can be so much more. Good path lighting is an integral part of your landscape lighting design. 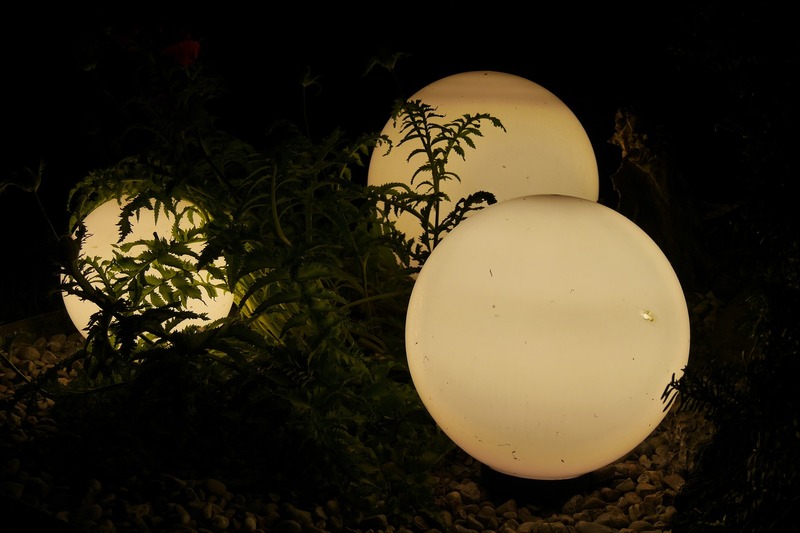 It can add a whole new level of design, interest, and beauty to your home at night. So why settle for regular, boring, path lighting when you could do so much more? We want to inspire you with some of these unique pathway lighting ideas. Not all of them are perfect for everyone, but we hope to get your creative juices flowing so you can do more with your path lighting. Very few parts of your landscape lighting are as necessary as pathway lighting. Sure, it’s beautiful when you can illuminate trees, fountains, or even stone walls. But none of that is as important as the lights that get you where you are going without getting hurt. And in its purest sense, that is what path lighting is. Path lighting is utilitarian. It serves a vital purpose. Which is why we think that it is so deserving of the same creative energy you spend on the rest of your landscape. You can’t escape path lighting. One way or another, you have to be able to see your way around. So why not use that opportunity to do something really fantastic? In Part One of this post, we talked about three great ideas for pathway lighting. First, we suggested mixing and matching fixtures. We hope that by now you have gotten the idea that you can be creative. There are no rules with pathway lighting. As long as you can see your way around, everything else is fertile ground for experimentation. Second, we talked about bollard lights. If you love a modern look or just want something different, bollard lights are a great option. They are also sturdier than most other fixtures. If you’re worried about damage to your pathway lights, it’s hard to go wrong with bollard lights. Third, we suggested ditching the fixtures altogether in favor of some romantic artificial moonlight. To conclude, we want to present two more unique pathway lighting ideas to inspire you and get you thinking about what you can do in your own home. Motion sensors are most commonly used with floodlights on a patio or in a driveway. Many people use them as security lights that switch on if somebody tries to approach uninvited. Driveway motion sensor lights are also a nice feature to welcome you home at night and light your way to the door. But what about motion sensors for pathway lights? Putting motions sensors on pathway lights can be done in a few different ways and for various reasons. One way is to simply have the entire path light up as you approach it. If you prefer to keep the front (or back) of your home sparsely lit or to highlight more of your trees and other features without lighting your path, this is a great option. Putting a motion sensor on the pathway lights that lead to your front or back door can also have a similar safety effect to the more traditional floodlight. It can startle and deter an invader without the invasive bright light that may also wake up your neighbors. However, if you are ready for a little magic and whimsy, there is another way to use motion sensors. You may recall from other posts that pathway lights should be spaced so that they draw you onward along a path. For an added touch of magic, set up motion sensors so that as you step forward, one or two more lights ahead of you come on. This fairytale effect is perfect in a garden. But it can also be used with bollard lights for a modern yet welcoming touch. Motion sensors can also be combined with step lights to light each step just as you come to it. The possibilities are as broad as your imagination. There are many situations in which a pathway needs to be lit, but standard fixtures would just get in the way. One example is along a driveway. Some people install pathway lights along the edge of their driveway, but even that can run the risk of accidental bumps and damage. There are also situations in which a pathway cuts through a lawn and putting in lights would make it hard to mow that area. If you are installing lights around a pool deck, you need to create enough light to avoid slips or stumbles without creating another obstacle. For all of these situations, well lights are perfect. Well lights, when properly installed, should be flush with the ground. In a driveway, well lights can be installed that easily withstand the weight of a car driving over them. If you are installing a new driveway, you have the perfect opportunity to install tastefully understated well lights. But even if you have an existing driveway, the experts at Night Vision Outdoor lighting are experienced at installing well light into concrete, brick, and stone. If you have a gravel or dirt path through your backyard, its edges can be hard to see at night. Installing small well lights along the edge of the path can help define the path even one the darkest nights. The edge of a pool is even more critical to mark than the edge of a dirt path. To avoid slips, falls, and serious accidents, it needs to be very clear where your deck ends and the pool begins. Of course, lining your swimming pool will little lamps is impractical and would get in the way. Well lights are the perfect answer. They provide lights, mark the edge, and lay flush with the pool deck, so no one trips. By now, we hope that you are inspired to create some unique pathway lighting for your home. Whether you are just brimming with ideas or running short, Night Vision Outdoor Lighting can help. We have experience building over 5,000 outdoor lighting systems. As the Atlanta metro area’s premier outdoor lighting team, we are able to provide you with the benefit of all that experience. We will work with your designs or help you come up with new designs. We are passionate about outdoor lighting, and it shows. You can read some of what our customers are saying here. If you’re ready for great outdoor lighting, contact us today to get started!